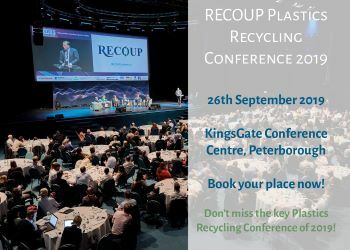 Axion Polymers director Keith Freegard has suggested that landfilling, rather than energy from waste, may be a better option following the increasing levels of plastic waste in the UK. More plastics are needing to be stockpiled he said, because of China’s crackdown on contaminated recyclables. According to the director, tackling the waste stream problem will lead to increased incineration of waste to produce energy as the “best” solution, but doubts that it is the best environmental solution when the carbon produced by the process is considered and compared to alternative methods. The best environmental option for the Axion boss is to store the waste plastics in a controlled landfill facility and then to ‘mine’ them back in the future when new reprocessing capacity is available. From this, he suggests that people should start calling end-of-life waste incineration technology ‘sky-fill’ to compare it with the alternative ‘landfill’, and that increasing the incineration capacity stifles innovation in resource recovery technologies because investment is put towards building plants for burning materials to produces power. Overall, he added that until we get a carbon tax “that puts some seriously big pound notes on the cost of throwing carbon into the atmosphere” that there is no real change.